She said in the past couple of weeks I said in passing “for her to do what makes her happy and that being happy is the most important”. She said that was so unlike me and wanted to know what was going on with me. My wife (will call her Mary) has always been very direct, these questions said in a very low tone while her head was still resting on my chest. Mary asked these questions with a hesitance, as if she was afraid to hear the answer. I wasn’t ready to talk about it and didn’t have anything prepared to say. Was I ready to tell her? Was I ready to say it out loud. I had been thinking seriously about it for only about two weeks maybe three. It just came and it came fast. You would think a decision like this would takes months or years to think over and plan. We met a few weeks after 9–11 in Albuquerque at a Business Referral Luncheon. We both had businesses and needed to network and get leads. We were both months removed from long term marriages and not looking to get connected again, well at least not then. The way Mary tells the story, she heard someone ask me if I had kids, I said, “ No, I do pets”. I think it was common knowledge that I was single. She said at the next luncheon she made sure she sat at the table I was sitting. I had no idea what was coming for me. We scheduled a lunch for the following week after her trip to visit her sister in New York over the long Thanksgiving Holiday weekend. That lunch lead to drinks the week after then two dinner dates. On our third dinner date I invited her to join me on a 3 day 2 night stay in Denver a couple days after Christmas. After some discussion she agreed to join me. After dinner we walked a few blocks admiring the lights and window displays of some near by shops. It was then that I told her I was Trans. She asked a question, “was I attracted to men, did I want to be with men? I said no that I had always been attracted to women. It was late in 2000 that I looked in the mirror and said out loud to myself “I am transgender”. I remember a feeling of a weight being lifted from my shoulders. I was 38 years old and had been hiding my secret for over 30 years. Granted I didn’t have a label for what or who I was I only had shame as a description. Finally coming to terms with who I am was euphoric. Coming out of the closet and kicking shame to the curb helped me on a personal level but killed my marriage. We were already having issues telling her I was trans was a like delivering the knock out punch in the final round. We married in April 2003 with one caveat, I wouldn’t transition. Mary asked me directly, are you going to transition? I said no and that I would die a male. She said “I am not a lesbian and don’t want to live as a lesbian couple”. Once married, life became more serious, we were not just two adults cohabiting. We bought a house, financial responsibilities increased and the honey-do lists started surfacing. Weekday evening outing as two girl friends started to get postponed and every weekend outing became fewer and fewer. As the years passed I started outing myself to cis-women friends and started meeting them for shopping and drinks on the weekends. Mary didn’t mind, as she knew them and it gave her time alone. By then she had sold her business and joined my business. Time alone or having time away from each other and spent with friends was valued. It would take a few years for me to venture out alone presenting as a woman. Going out with friends or with Mary made it bearable to be out in public. I would notice the double takes, the sudden gestures people make as you come close to them. The subtle finger pointing, the head nods and the whispering were telltale signs people noticed you. Going to the restroom was nerve racking. Keeping an eye on who was going in and coming out and waiting for the right moment to make my move. If there were multiply stalls I tired to make sure there wasn’t a line and then hoped no one asked me a question. I always loved the single occupancy restroom even better the unisex ones. My main goal was to blend. How would I know I reached my goal? Once I stopped seeing the double takes and/or the sudden gestures. Looking back I would say now that I was lacking confidence. I had to blend in, there was no other option. 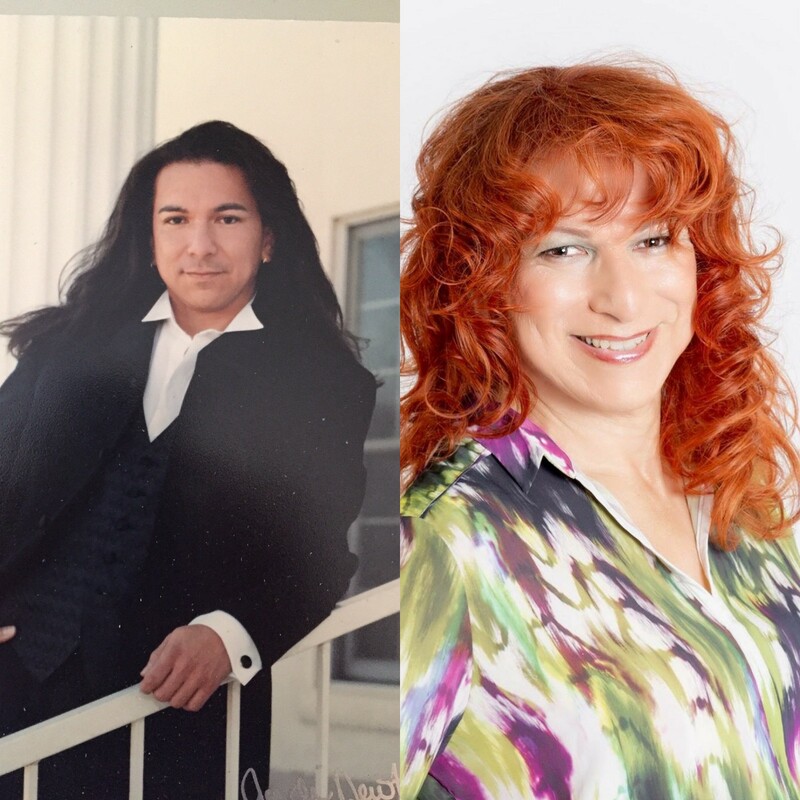 I endured a few years of electrolysis and learned how to color and style my hair. I had to learn how to dress for the outings / occasions. Mary had years to compile her inventory of clothes I had to start from scratch. There is also the makeup, not only buying everything also learning how to apply it. Let’s not forget shoes, purses and accessories. Mid 2016 we sold the business and each of us had ideas of what we wanted to do next. Mary decided to visit her friend in New Hampshire. I think it was John Lennon that said “Life is what happens to you while you are busy making other plans”. By the week before Thanksgiving 2016 we moved into our new home in New Hampshire. By 2005 going out presenting as a woman was no big deal. What use to take me over an hour to get ready I could do in 30 minutes, makeup, hair and clothes out the door. The only thing that has been an issue was the name on the Drivers License. Having my given male name on my drivers license was a discomfort for me. The last two times I had my drivers license renewed I wore makeup and earrings along with a more feminine hair style. My photo looked more androgynous but the name did not help my cause. I legally changed my name before we left Albuquerque. I wanted to arrive in New Hampshire with a more androgynous name. Every person I will meet in NH will only know me by my new name. By Spring 2017 I had no job and no prospects. I was guessing people would read my resume, figure my age range and decided quickly that hiring a person who had their own business for 18 years was not in their best interest. Depression was slowly creeping in and my self-confidence was at an all time low. Mary landed a good job in February. The only time I felt halfway decent was when I would get dressed and go out. I found a support group and attended my first meeting in March. It was mostly cross dressers with maybe three or four members on track to start transition. Everyone there labeled themselves trans. In 2004 when we purchased our first home we designated the master bedroom’s closet her closet, her bathroom but our bed. The second bedroom’s closet was my closet and the room was my space. My closet had a male and female side, by 2016 when we moved the closet was about 80% female. I accumulated an extensive wardrobe in 16 years. Getting ready for work was always a struggle for me, as having to put on my male clothes always distressed me. After deciding to stop attending my first support group’s meetings I tried a couple more times around 2009 and 2014. Both were short lived, as most of the attendees were young and/or just coming out. I was looking for friends who had been out as long as I had or had already transitioned. I had no luck on both fronts. This group in NH was different in that none had started to transition and the longest anyone has been out of the closet was 5 years. Introducing myself and telling my story I believe set the wheels of change in motion. There was a moment of silence that probably lasted a minute; I knew she was waiting for my answer. Looking back maybe I should have waited and thought about how I was going to tell her. Her question caught me off guard and I just said it, “I am going to transition”. Trans Woman trying to figure it all out.